A performance seen and felt around the world calls for an award that perpetuates the message of the accomplishment. 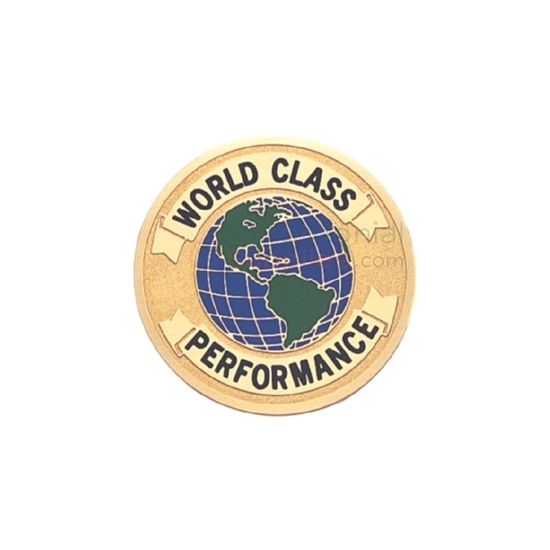 A globe is the most obvious and adequate symbol to present the range of such a grand performance, which is why there is a globe etched at the center of this medal. The World Class Performance Medal aims to do the same by providing an excellent option to award potential achievers, make them feel recognized and motivate them to continue.